How Much Can I Claim For An Accident Caused By Dangerous Machinery At Work? The Health and Safety at Work Act of 1974 makes it the responsibility of employers to ensure that all machines used in the workplace are properly maintained and all necessary measures are taken to ensure that the employees who operate these machines are protected from the risks of accidents to a reasonable degree. In spite of this, the number of accidents related to dangerous machinery at work continues to increase. These accidents can be caused by the negligence of the employer, inadequate training of the operators, inadequate or improper use of protective gear, failure to use protective gear and the use of faulty equipment. If you have sustained injuries caused by machinery at work, this guide would give you a clear insight into the steps required in order to win dangerous machinery at work compensation from an employer or any other negligent persons. We have made the guide detailed enough to answer many of the questions you may have concerning the process of making dangerous machinery at work claims but if you still have further questions after reading the guide, we offer free consultation sessions. If you have any questions relating to machinery hazards in the workplace, all you need to do it contact our team. A guide to claiming for an injury caused by dangerous equipment at work. Claiming for an injury caused by dangerous vehicles at work. Claiming for an injury caused by faulty equipment at work. Other common causes of dangerous machinery accidents at work. Claiming for a dangerous machinery accident as an employee. Claiming for a dangerous machinery accident as a member of the public. Dangerous machinery accident facts and statistics. Assessing the severity of an injury caused by dangerous machinery at work. The long-term effects of injuries caused by dangerous machinery at work. What to do if you have suffered an injury caused by dangerous machinery at work. What can be claimed for after an accident caused by dangerous machinery at work? No win no fee dangerous machinery accidents at work claims. How much can I claim for after a dangerous machinery accident at work? How to start a dangerous machinery at work accident claim. Why choose us as your claims service for a dangerous machinery accident at work claim? A report by the Health and Safety Executive (HSE) revealed that at least 144 people lost their lives to workplace machine-related accidents between 2015 and 2016. The report also revealed that there was roughly 76,000 non-fatal workplace machine-related injuries during this period in the United Kingdom. In addition to the risk of death, the long-term consequences of these types of accidents can be very severe. You may sustain physical injuries that require long-term treatment, management and rehabilitation. These injuries may also affect your ability to live as you did before the accident. As well as this, the financial consequences of an accident can be very severe, as you may need to continue to pay for certain treatments while losing the ability to work. There is a provision in the law that allows you to claim compensation from the liable party to cover your medical bills and other inconveniences or life adjustments caused by the accident. 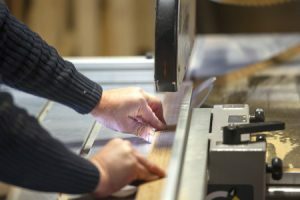 This guide covers everything you need in order to win such a dangerous machinery accident claim, including a discussion of the most common types of workshop accident, what to do following a dangerous machinery accident, how to find a Claims Service and how much compensation you can win for machinery related injuries. For more information regarding anything in this guide, feel free to contact our offices. Hundreds of people are killed or critically wounded every year due to accidents involving dangerous vehicles and moving equipment at work. Dangerous vehicles at work in this context can refer to any moving equipment, including cranes, forklifts, bulldozers and motor vehicles. It can also refer to accidents involving vehicles and equipment on the work premises, such as in the car park or near a road. There will be health and safety guidelines which dictate how the employer should handle such situations. Due to the volatile nature of this equipment, the law requires that employees who operate this equipment are kept safe. Employers are expected to train their workers on how to properly use dangerous vehicles at work and also give them proper instructions and adequate monitoring during work. A failure to do this may mean that the employer has acted in a negligent manner and is liable for any accidents that may occur. Equipment with missing, faulty or disabled parts. Equipment that has undergone temporary repairs which still failed to prevent the accident from happening. Equipment with slow or malfunctioning switches. According to Provision and Use of Work Equipment Regulations (PUWER) of 1998, workplace equipment needs to be safe for use and properly maintained. Equipment also needs to be correctly installed and accompanied by the necessary and appropriate protective control measures to avoid accidents from machinery/equipment. The PUWER regulation also requires that employers get rid of equipment or parts of equipment that may increase hazard risks relating to the use of plant and equipment. As such, hazards risks relating to the use of plant and equipment should be avoided; if you have suffered an accident due to any of the issues in the above machine hazards list, you may have a viable claim for compensation. 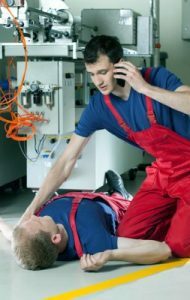 Contact Accidents: This can happen when you come in contact with sharp or dangerous objects due to the failure of your employees to provide the right safety protection. Ejector Accidents: Accidents caused by flying objects which could hit you and cause you to sustain serious injuries. Entrapment Accidents: Getting your clothing or parts of your body (such as your fingers, hair or legs) caught in the moving part of a machine. Impact Accidents: Getting hit by moving equipment and sustaining injuries as a result. These are just some of the examples of workplace accidents that have the potential to cause life changing injuries and for which you are able to make claims against the negligent parties. expected to carry out a regular risk assessment of all equipment and give priority to necessary repairs. Employers are also expected to provide employees with relevant protective gear and ensure that the gear is always worn by employees assigned to operate the equipment. To be able to file a claim for compensation from your employer, you would need to be able to show proof that your injury was caused by the negligence of your employer. This means that you must be able to prove that your employer failed to take the necessary steps to protect you from the accident. You may also need to prove that your employer could foresee the likelihood of an accident happening but still failed to take adequate steps to protect you from the accident. In certain scenarios, the accident might not entirely be the fault of your employer but caused by defective or poorly manufactured equipment. In such cases, you may need to make a third party defective product claim against the manufacturer or supplier of the equipment. You would have to prove that the equipment was defective and the defect caused the accident and subsequent injuries and losses. The best way to file a claim for a dangerous machinery accident is with the assistance of a qualified and experienced solicitor. Dangerous machinery accident workplace claims are not exclusively for employees. In some cases, you may be affected by dangerous machinery accidents as a member of the public. A typical example might be someone sustaining injuries due to equipment which was left unguarded or a crane that accidentally dislodged its load and caused you to suffer injuries. If the accident happened on commercial or industrial premises and there is proof to show that you were not negligent or responsible for the accident, you can be able to make a claim against the business owner or any other party responsible for the accident. According to the Royal Society for the Prevention of Accidents (RoSPA), the following facts and statistics provide an indication of the nature and rate of deaths and injuries caused by workplace accidents in the UK. 144 workers were fatally injured from work-related accidents between 2015 and 2016 while 142 people lost their lives between 2014 and 2015 for the same reasons. The waste and recycling, construction and agricultural sectors have the highest rate of work-related injuries in the country. Contact with moving machinery, being struck by a vehicle and falls from height are the most common causes of fatal workplace accidents. About 621,000 employees sustained non-fatal injuries from workplace accidents between 2015 and 2016. 20% of these accidents were caused by lifting and carrying, 10% by moving objects, and 19% from trip and slip accidents. As demonstrated in the above figures, workplace accidents are not uncommon. If you have any questions or queries relating to your own accident, our team is ready to take your call. The type, extent and severity of the injury sustained will be put into consideration by the court when trying to decide on a suitable amount to be awarded as compensation. Injuries sustained from dangerous machinery at work can be classified as severe, moderately severe or minor. Severe injuries include death, fractured bones, amputation, loss of limbs, crush injuries or any other injuries that cannot be completely healed or reversed. Moderately severe injuries are equally serious but could be significantly reversed with the right treatment and rehabilitation. They include burn injuries, hearing loss, vision loss, brain damage, mental health problems or musculoskeletal disorders. Bruises, cuts, scratches, swelling, grazes, eye injuries and sprains are examples of minor injuries. As a general rule, the more severe the injury sustained, the higher the compensation amount that would likely be awarded. The effects of injuries caused by dangerous machinery at work can last a lifetime. The death of a family member who lost his life due to an accident involving dangerous machinery may have a devastating effect on the family and friends of the victim. Injuries could also lead to amputation or fractured bones, which may impair your ability to live independently. You may also need a lot of physical therapy sessions and you may have to leave your job if you are incapacitated. The serious long-term implications of an injury can be varied and difficult to predict. This is why it is important to make sure that you are properly compensated for the full consequences of an injury. As well as the immediate pain and suffering, the future complications and implications are equally deserving of compensation. With the right legal team working with you, it can be much easier to ensure that your future is considered thoroughly during a compensation claim. When you are considering a claim, one of the most important components of any case is evidence. If you are going to claim compensation, you have to prove that your employer was negligent and directly or indirectly responsible for your accident. Without this proof, you may not be able to get any compensation from your employer. It is very important that you take the following steps following a dangerous machinery accident at work, as it can help you gather enough evidence to back up your claim. Record the Event: It helps to get photo and video evidence of the accident with a time stamp on it. This should be done as soon as possible after the accident. You should take photos of the equipment that caused the accident, the environment within which the accident occurred, and the injuries you sustained from the accident. If necessary, you can ask another person to do this on your behalf. Get Names and Testimony of Witnesses: Make sure you record the names of those employees or other people who witnessed the accident. You can try to record a statement from them to back up your claims. Make a Formal Report: Formally report the accident to your employer and keep a record of your report. Keep Receipts and Evidence of Treatment: Don’t forget to keep records of all financial expenses made for the treatment and rehabilitation costs. Document all Other Losses: If you lost your job or suffered any other tangible or intangible losses due to the accidents, you should keep records of that too. Get Expert Evidence: Obtain a medical assessment of the type, severity and implications of your injury. You can get this from your doctor. We can also help you arrange for a local medical professional to evaluate you. Talk to a Solicitor: After gathering all the necessary evidence and documents required to prove your case, you should talk to a solicitor. A solicitor will be able to carry out a professional review of your case and provide the necessary legal advice and support needed to make your claim. It is important to understand that there is a three-year time limit for making claims and this starts from the day of the accident (or the day you receive a diagnosis). This is why we recommend speaking to a legal professional as soon as possible. You are able to make claims for all financial, tangible and intangible losses you sustained or would be likely to sustain as a result of the accident. Claims for accidents caused by dangerous machinery at work can be divided into two major categories; general and special damages. General Damages: General damages cover all non-pecuniary losses, including emotional harm, pain and suffering caused by the injuries and any other losses to your personal or physical integrity. It is awarded to compensate you for the suffering and pain caused by the accident. It is very important to document all evidence of expenses related to your injuries. This helps to strengthen your case and makes it easier to get a fair amount as compensation. A common reason for people to delay compensation claims for accidents caused by dangerous machinery at work is the financial cost. In many cases, legal services will be a costly addition to your claim and could be among the main barriers to success. However, we want to offer a different way of bringing the best legal professionals onto your claim. Our ‘No Win No Fee’ agreement means that you can start dangerous machinery accidents at work claims without the need for a large financial outlay before the resolution of the case. The ‘No Win No Fee’ offer is a conditional fee agreement which we offer to our clients in order to make it easier for them to make a claim. With this agreement, payment is delayed until after your compensation has been awarded. We simply take a percentage amount from the settlement total. If the claim is not successful, there will be no charge. If you would like to learn more about the ways in which this agreement can benefit you, call and speak to our team today. Your dangerous machinery at work accident claims case will be judged based on its own merits and, as such, it is difficult to give a specific estimation of your final settlement amount. Various factors can influence the total, especially the severity of the injury. However, the below table provides an insight into the various injuries and the average amounts awarded. Though the above table can be used for broad indications of potential settlements, anyone hoping for a more nuanced estimate should contact our team today. When you have made the decision to file for compensation, knowing what to do next might seem hard. There is rarely a clear and obvious place to begin, especially for those who do not possess any legal experience. However, we want to make sure that the process is as easy as possible. This is why we offer potential clients a free consultation session. In this session, we can discuss the case in great detail and give you an honest and informed impression. We can provide information on how likely it is to succeed and provide an estimate of potential settlement amounts. We can also tell you what needs to be done next. If you choose to work with our legal team, we can then offer our ‘No Win No Fee’ agreement and ensure that you are in the best place to move forwards, financially speaking. We can even arrange a medical evaluation with a local doctor to ensure that your condition, health and injuries are fully diagnosed. We’ll carry out further fact-finding and begin the process of filing the necessary paperwork. In the meantime, you can relax. If you want to begin a compensation claim, working with our team is the best way to get started. Our solicitors are always committed to helping you win the highest compensation possible for your dangerous machinery accident. We offer our services on a ‘No Win No Fee’ basis, making it easy and risk-free for you to make a claim. We have also built long-term relationships with our medical partners to further ease you through the claims process. At our company, we strongly believe that victims of work-related accidents should be treated to a simple, stress-free process of making a claim. This is why we have created a seamless and easy process for making claims, starting from our free consultancy session to our ‘No Win No Fee’ payment terms. Our lawyers are friendly and understand what you are going through. They will offer you the best legal advice and services. This is perfect when you want to win a compensation claim. Don’t lose out on your opportunity to get that compensation. Our solicitors are always available to chat so if you need to ask a few questions or want to start a claim today, call us on 0800 073 8804 or use the contact form and web-chat features on our website to arrange a free consultation session. HSE – Why is machinery safety important? Moving machinery can be very dangerous and cause injuries in many different ways, sharp edges, workers can be struck and injured by moving parts their is more things listed on this HSE link. How Much Compensation Can I Claim For An Accident at Work? Find out how much you could claim for a work accident and get free legal advice.